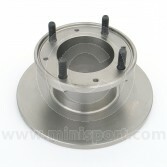 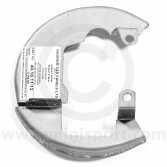 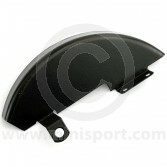 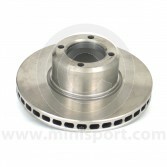 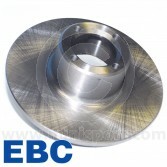 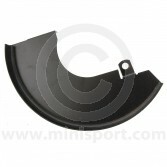 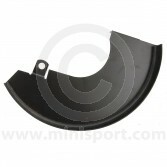 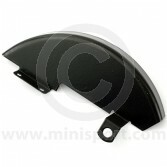 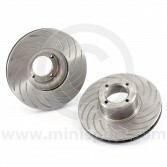 Need to replace or upgrade your Classic Mini Brake Discs? 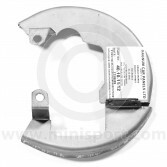 We have the Original Equipment Mini Cooper 7” Brake Discs, Mini Cooper S 7.5” Brake Discs and 8.4” Brake Discs for all Mini models from 1984 onwards. 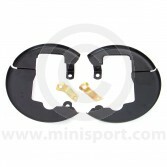 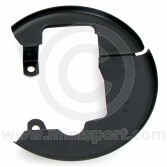 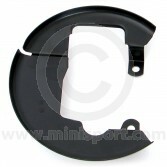 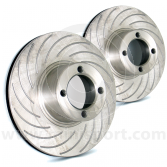 We also stock the disc covers for the Cooper S 7.5” discs and the Classic Mini 8.4” discs. 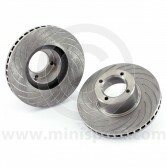 Here at Mini Sport, we manufacture and supply a range of uprated performance Brake Discs for Cooper S 7.5” and Mini models 1984 on with 8.4” Brake Discs. 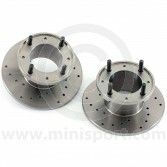 We also exclusively stock the 7.9” or 8.4” Vented Brake Discs for an extra special Mini upgrade. 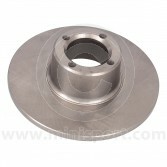 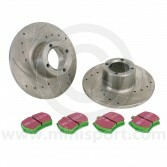 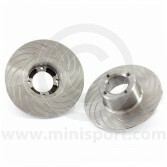 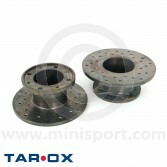 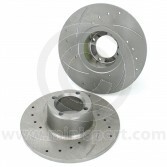 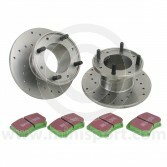 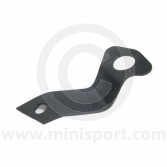 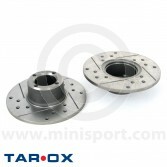 You will require the Mini Sport lightweight Alloy 4 Pot Calipers, to fit these. 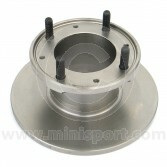 7.9” Vented Brake Discs with the Mini Sport 4 pot alloy Calipers will fit beneath most 10” Wheels giving the ultimate stopping power with the Early Classic Mini style. 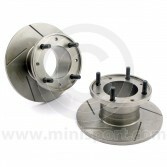 8.4” Vented Brake Discs with the Mini Sport 4 Pot Alloy Calipers will fit beneath 12” or 13” wheels, giving your Mini the ultimate stopping power. 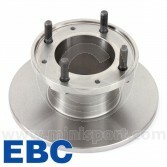 Mini Sport also supply their own brand of Mini Brake Discs along with EBC, Tarox and Original Equipment (O.E) Specification. 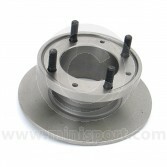 Safety and Maintenance, when changing Brake Discs, for safety reasons and ultimate stopping performance, we always replace both discs and fit new Classic Mini Brake Pads. 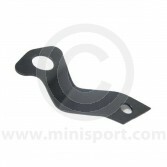 Complete service provided in house at Mini Sport Ltd.
For more details or to book your Classic Mini in, contact us on 01282 778731 or email sales@minisport.com. 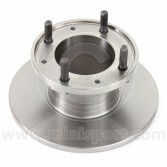  Brake Disc - Mini 84on 8.4"
Brake Disc - Mini Cooper S & 1275GT 7.5"
Brake Disc - Mini Cooper 7"
Brake Disc - High Carbon - Mini Cooper S 7.5"